KONG Winders are the ideal toys for your playful dog. The twisted torso cleans and brushes your dog's teeth. The KONG Winders are made for endless fun and games. Your dog will enjoy throwing, fetching and pulling this exciting toy. 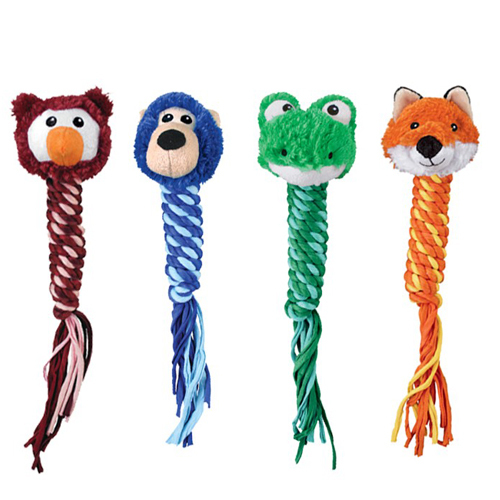 The squeaker in the toy's head and tail invite your dog to play. The twisted torso cleans and brushes the dog's teeth. Great to play with, squeak, shake and throw. Brushes and cleans dogs' teeth whilst playing. Less stuffing means less mess. Please note: The KONG Winders are not intended for long chewing sessions. Have you used KONG Winders before? Let us know what you think about this product.